When life gives you sorbet, make sorbet sandwiches! The last few days Ky (5) has been begging for ice cream. Flavor? Cone? Who cares, says a 5 year old! Let's just say my little sorbet princess was in heaven! 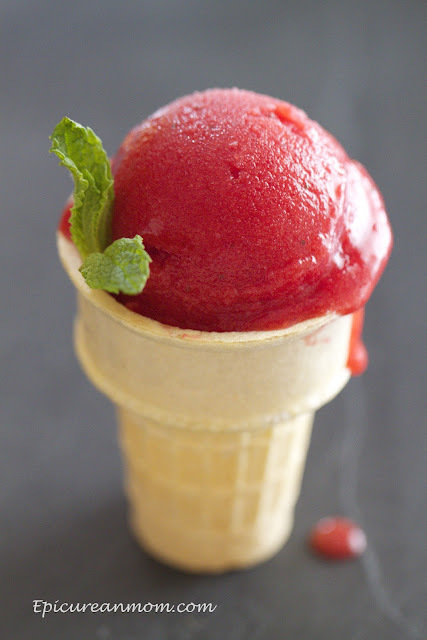 This simple strawberry sorbet has just 4 ingredients and is oh so delightful! Ky said "Moooom, this is the very best ice cream I've ever had! Can I have another one?" A mom's response... absolutely not! But if you clean the dishes you can have 2 more! 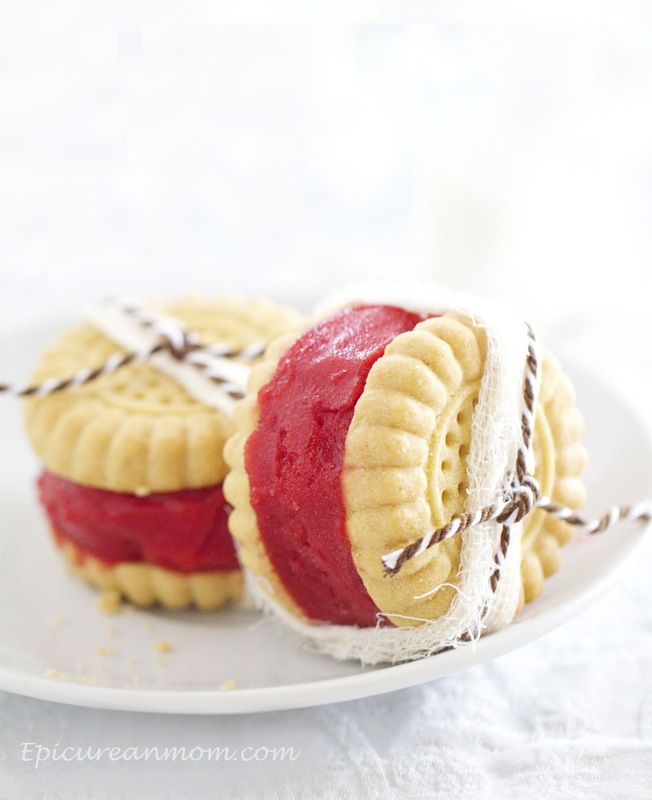 To make this sorbet extra kid-friendly sandwich the sorbet in between two shortbread cookies! What kid could resist a sorbet sandwich?? My girls sure couldn't. Combine the water and sugar (simple syrup) in a small saucepan over medium heat. Bring to a slow boil, stirring constantly. Boil for 1 minute then take off heat and let cool in the fridge. Pour halved strawberries in the bowl of a blender. Blend until smooth. Place in the fridge. Once simple syrup and strawberry puree is chilled, combine both in a medium bowl add orange juice and mix well. Pour strawberry mixture into the bowl of an ice cream maker and use according to manufacturer's instructions. Spoon into a pan, cover and freeze for at least 3 hours. Wow your sorbet looks amazing! I really love the first photo, very beautiful! Absolutely beautiful! I'm about to get up and go make frozen yogurt, but if I didn't have expiring Greek yogurt, I would be making this instead. I love that it uses orange juice. I could not love these more. 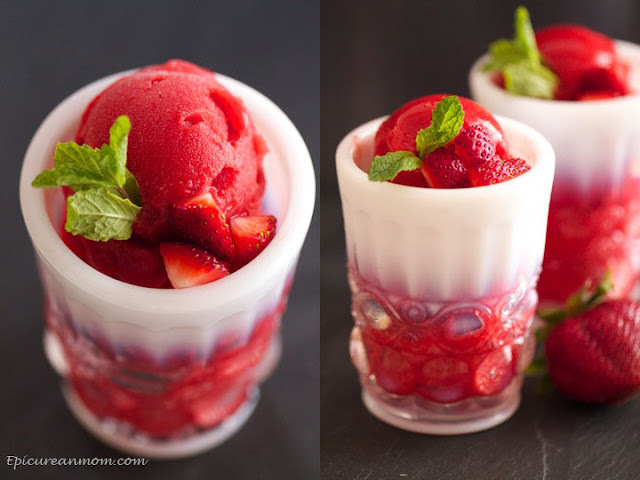 Strawberry sorbet is one of my favorites, it reminds me of my childhood. These are perfect! Yum!! Love your sorbet cups too - so pretty! These photos are gorgeous! 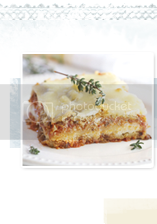 Looks like a simple recipe too- love it! This looks absolutely summery and wonderful! I'm ready to come over....do you have any left? Haha. Gorgeous, Gorgeous Gorgeous!!! What a refreshing treat. Wow, these made beautiful little sorbet sandwich's! I would ask for seconds as well! This looks like such a refreshing summer dessert. I'm sure its going to be a popular one!! These are beautiful! So light and spring-like. I want mine in a little bowl or cup with fresh berries on top. In case you were wondering. Love the photos too! So cute and delicious! I love that click. Wow! I love the idea of sorbet cookies. So cute! So cute!!! I love the sorbet sandwiches! I love the second photo of the sorbet in the cone too. Strawberry sorbet is one of my favourite summer treats. Sweet and pretty vibrant colored sorbet --- not only a treat to the palate, but refreshes the spirit too. A must try! This is such a perfect recipe heading into spring! I am a huge sucker for sorbet and can only imagine how refreshing this recipe is! YUM! Love making strawberry sorbet--it is such a wonderful spring/summer treat! We love this recipe and shared it today on our Facebook page so our strawberry fans could enjoy it! Thank you! These are gorgeous, I just love anything ice creamy. Love the idea of slipping the sorbet between cookies. My goodness your photography is so lovely! Your sorbet sandwiches look flawless. So beautifully styled! I love those pretty little sorbet sandwiches. These look so perfect for warm spring days...and they are GORGEOUS! The cookies are very pretty. Love your pictures. 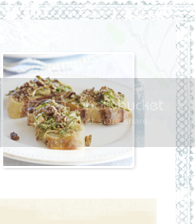 And it's Barbara Lundin on Pinterest where I found your recipe!! HI Barbara- I think it would be just fine to sub the lemon. Since lemon is slightly more sour than orange I may add a little more sugar :) Hope that helps!